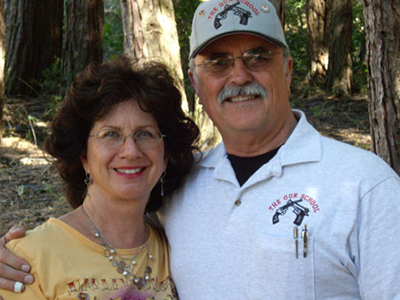 I’m Danny R. Wells, Owner and Master Instructor of The Gun School. 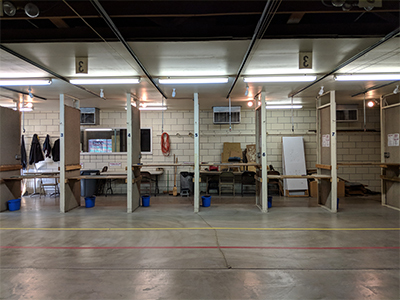 I have been teaching basic firearms classes for over 30 years. 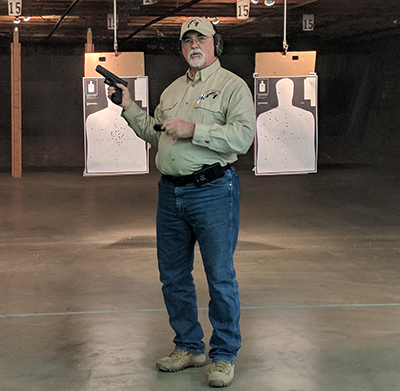 I have extensive experience and am a qualified expert with the rifle, pistol and shotgun with both my right and left hands. 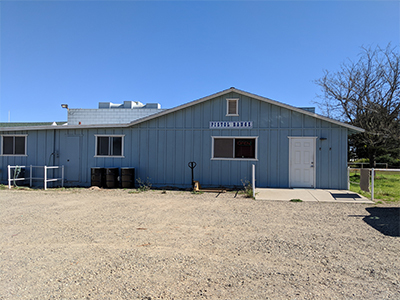 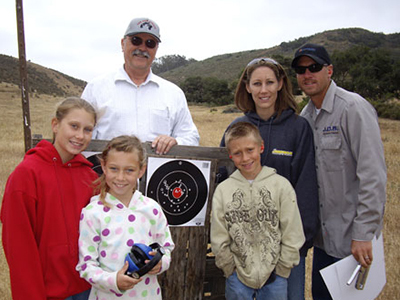 I opened The Gun School on January 2, 1988 and truly enjoy educating, preparing and qualifying the good people of California’s Central Coast and Central Valley, in the safe and effective use of firearms. 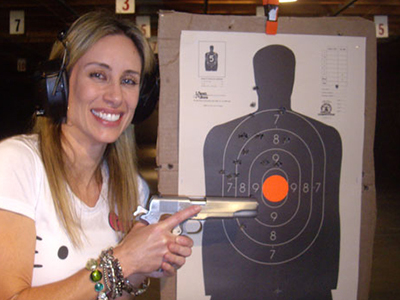 Please Click here to get to know me and read more about my extensive experience and the depth of my various qualifications. 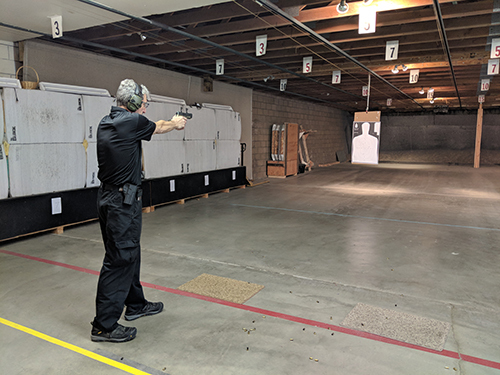 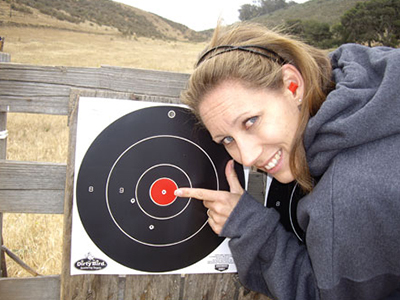 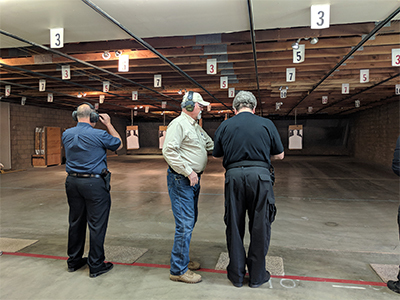 I offer a variety of Firearms Courses, for civilians and professionals, from Introduction to Handguns & Long guns, and Family Gun Safety Class, to Courses for Carrying Concealed Weapons in California, and in up to 30 other states. 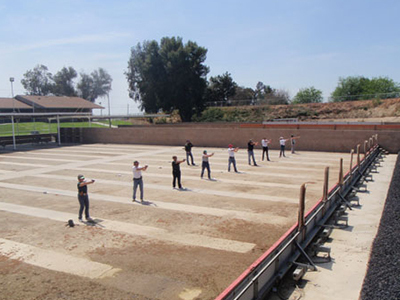 Strict standards and legal requirements are met for each class. 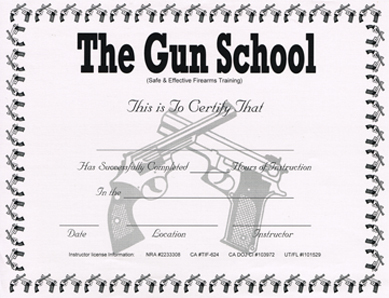 All students receive a Certificate upon successful completion of their course. 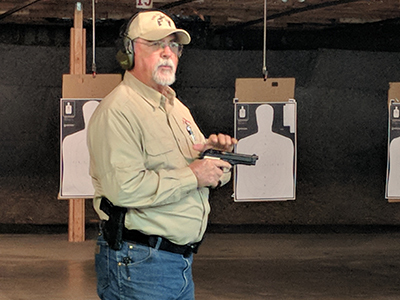 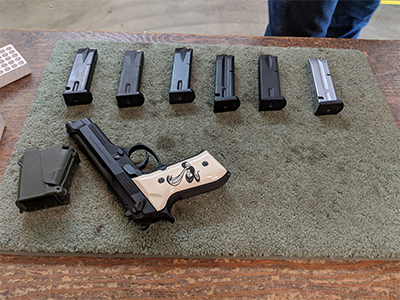 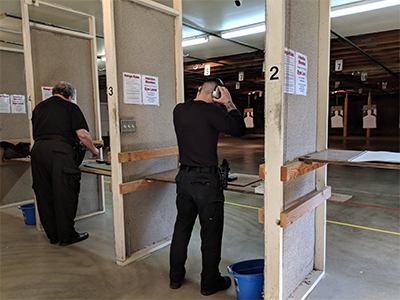 Please take a minute to read about the classes available in your area… and we’ll see you on the range!